Oh my gosh. I literally just ate the best meal of my life. Hands down, this is the best thing I’ve ever made. I know. That is quite the statement. And I’m not taking it lightly. It was one of those Wednesday’s where I finished my work early, and so I had some extra time to play in the kitchen. Those are my favorite days. Why? Because I time time to Invent. Something. Awesome. Yes. Tonight…I invented something. A SPECIFIC CARB DIET HAMBURGER BUN!!! Yes, you read that correctly, darlings. 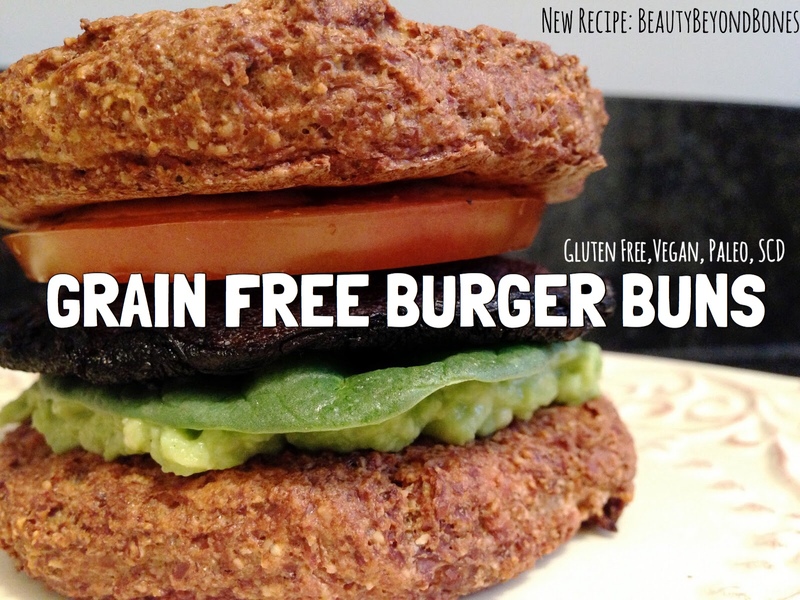 A GRAIN-FREE HAMBURGER BUN!!! How, you ask? ————— WITH CAULIFLOWER!! And it’s gluten free, SCD, Paleo and has a vegan option! Transfer the cauliflower to a mixing bowl and combine with the rest of the ingredients. Then, split the dough in half. On a parchment-lined baking sheet, form two “hockey pucks” out of the cauliflower dough. It should be about 3 inches in diameter, and about 1/2 – 3/4 inches thick. Bake for abotu 45 minutes, until completely golden brown. Meanwhile, clean and put away the food processor. 😉 Prep the rest of the veggies. Slice the tomato into about 1/4 inch slices. Also, mash the avocado with about 1/4 tsp salt. Clean the portobello mushroom by scraping off the ribs with a spoon and brushing off any dirt with a damp paper towel. Also, brush the outside with a little bit of olive oil. On a hot grill pan, grill the portobello mushroom for about 5 minutes per side. OH MY GOSH! Where to even begin!? I know what you’re all probably thinking: Can you actually pick it up like a bun? ——- And the answer is YES! It held together to the last bite! Nothing crumbled, it wasn’t cake-y. It was perfectly nutty and chewy. And it had a bit of crispy exterior that gave way to a soft and chewy center! And then the burger itself exploded with flavor! There’s something about a grilled portobello that is so … meaty! It had the smokey flavor like it was right off the grill! I mean, check out those grill marks! And the avocado gave it such a buttery richness. Truth be told, it was a touch messy, but it was SO GOOD! I swear, avocado is like nature’s mayonnaise! I cannot express how terrific this was. I will seriously remember this for a long time. I’m going to make this for family when I see them over Christmas! That’s how good it is: everyone…even non-SCD/Gluten Free/Vegans are going to flip out over these burgers! Do yourself a favor: Make these burgers! I promise, you will be SO glad you did! And if you want to learn more about this incredible (and FUN!!) business opportunity, I have ONE MORE SPOT this week to personally mentor someone! It’s absolutely free to sign up! 🙂 Just leave me a comment! Impressive, is there a cooking show in your future? First of all, awesome pictures and really nice conversational writing style. 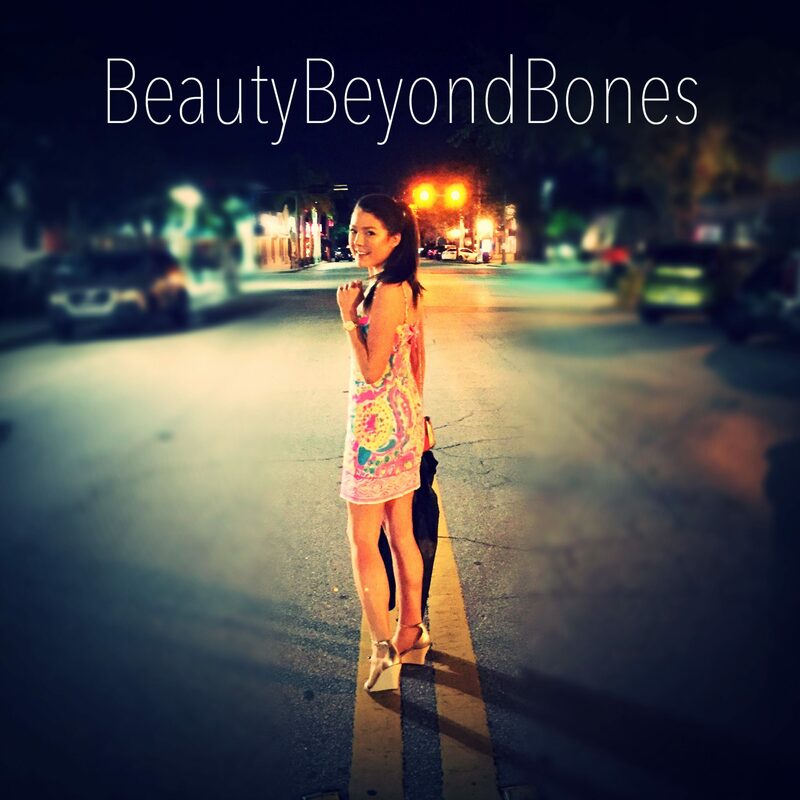 Secondly, you’re really beautiful <3 Love your blog. Continue spreading the joy! I’ve never heard of grilling a mushroom like that. Will definitely have to try it. You said the bun held together pretty well. For folks that had never tried this combination, would it work to use some long toothpick skewers and cut the burger up into four or maybe six pieces and serve like appetizers? Great job! Thou art welcome. Hugs and love back to thee. Damn that look … kiss u from another screen. Saving this recipe for the future! Thank you!! Have to say you have BUN it again! Ok, you haven’t failed me yet. I’m going to try this one too! Love your recipes! That looks really good and very healthy bite indeed! One question what is portello? Is it a type of meat or vegetable that looks like meat? Lol :'( I’m new to this, no worries haha! I love avocados! They go good with anything! Especially with rice! Yum! Oh haha its looks are deceiving!! !